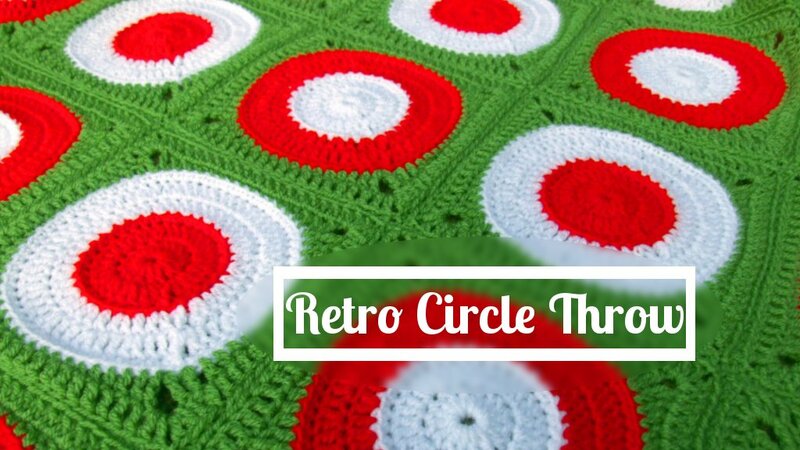 Meet my Retro Circle Throw! I’ve just finished writting up the pattern. I wanted to make a blanket of circles in squares because I love just luurvve circles in squares! 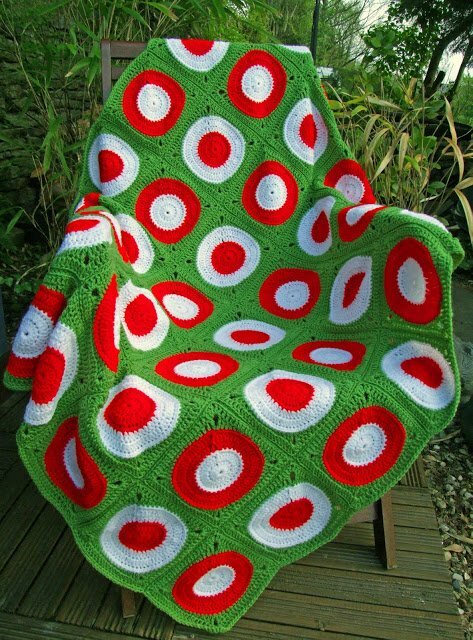 It’s turned out to be a really bright and cheerful crochet throw. I’ve used three bold colours but you could use plenty more with this design if you fancied. I think it would look particularly bold in grey, black and white. What do you think? 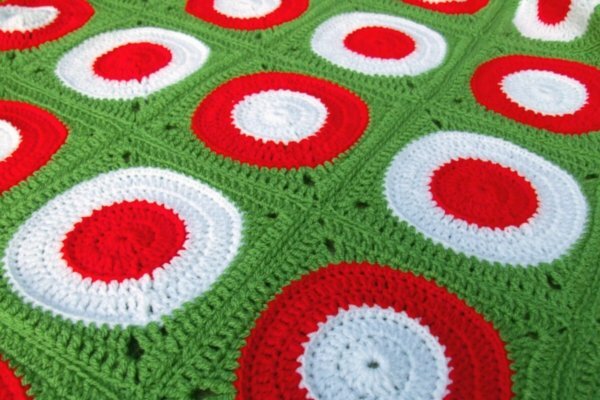 You’ll need DK weight yarn and a 5mm (H size) crochet hook for the throw. You work into the back loops only on two of the rounds but the rest of the crochet block is worked through both loops. The pattern is available in US and UK crochet terminology and is in written format. I hope you all like it! Thanks Jacqueline! Look forward to seeing your first pattern!